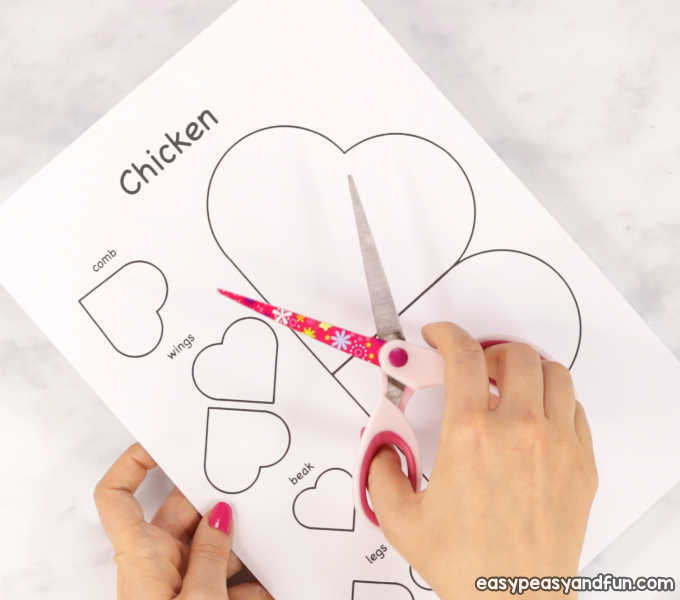 If your friends fancy chickens why not make their day with this adorable heart chicken craft – a cool little Valentines day card. 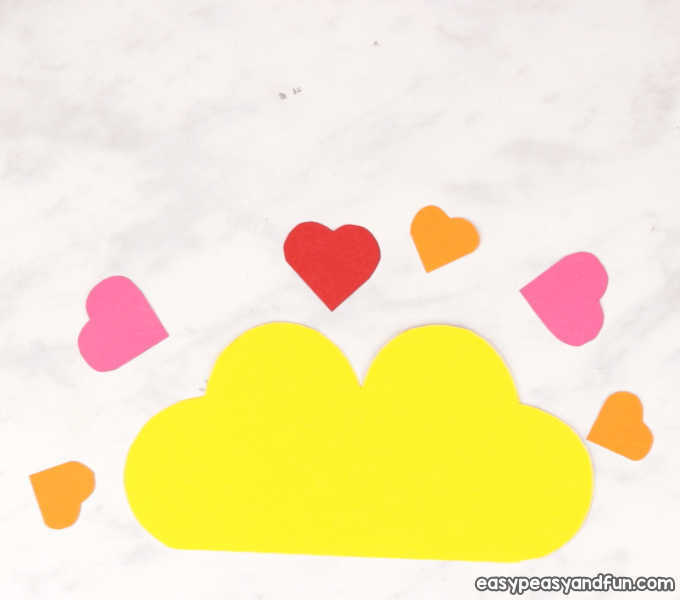 Heart animals are the sweetest little V-day crafts and they are really easy to make. 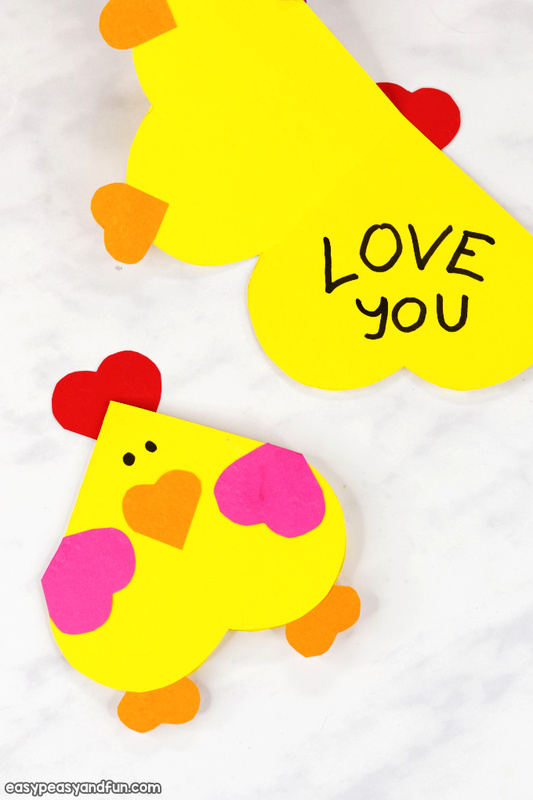 What better way to make someone’s day than with a fancy little chicken card. 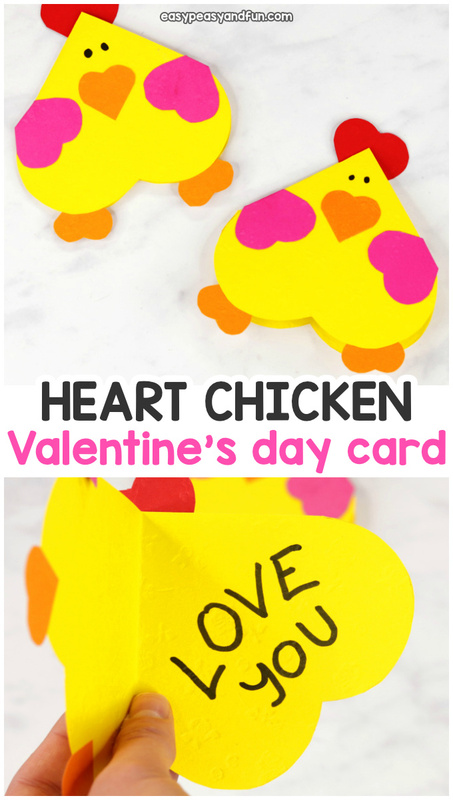 This Valentines day craft will delight both chicken lovers and non-chicken lovers. 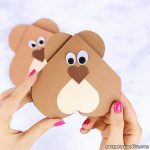 Ready to make one yourself? 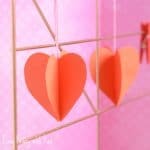 Let’s do it. 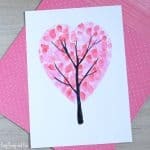 If you will have the kids color in the template – let them color it before they move to cutting. 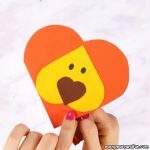 If using as stencils, trace around all the parts of the template on construction paper. 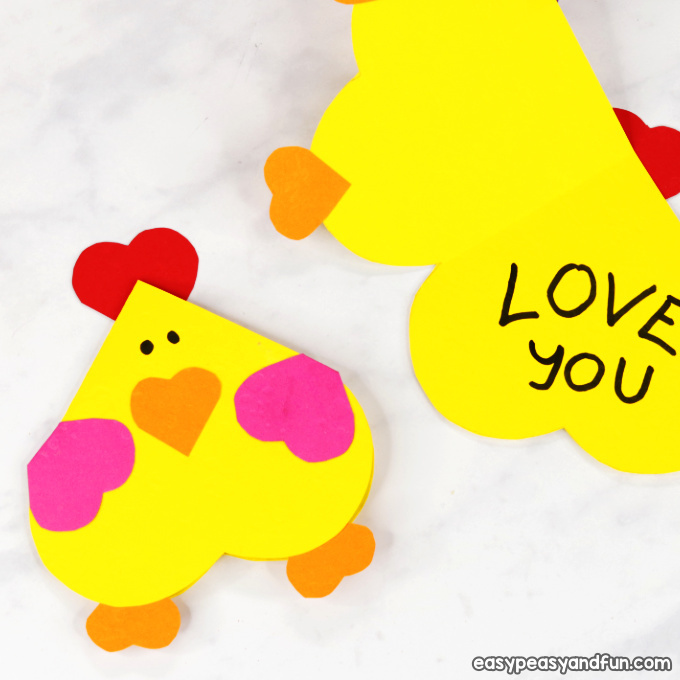 We traced the body of the chicken on yellow construction paper. The comb on red paper. 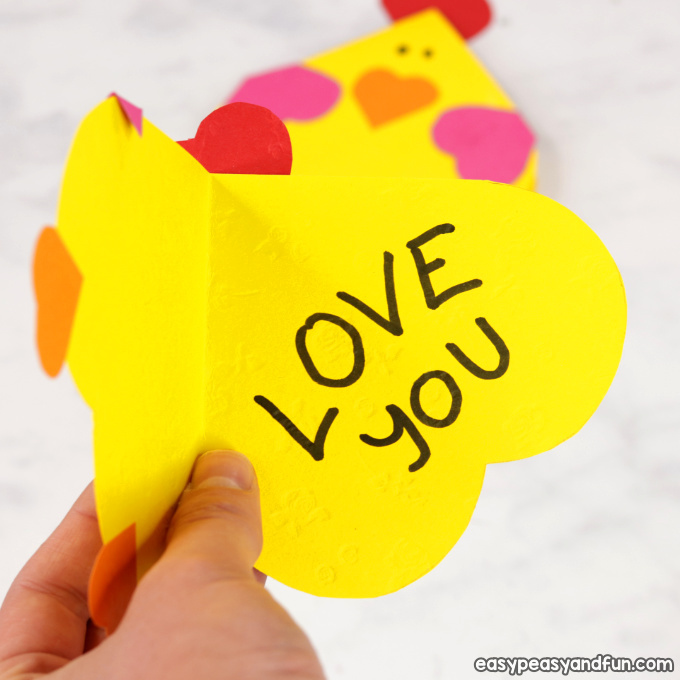 The feet and beak on orange paper and the wings on pink paper. 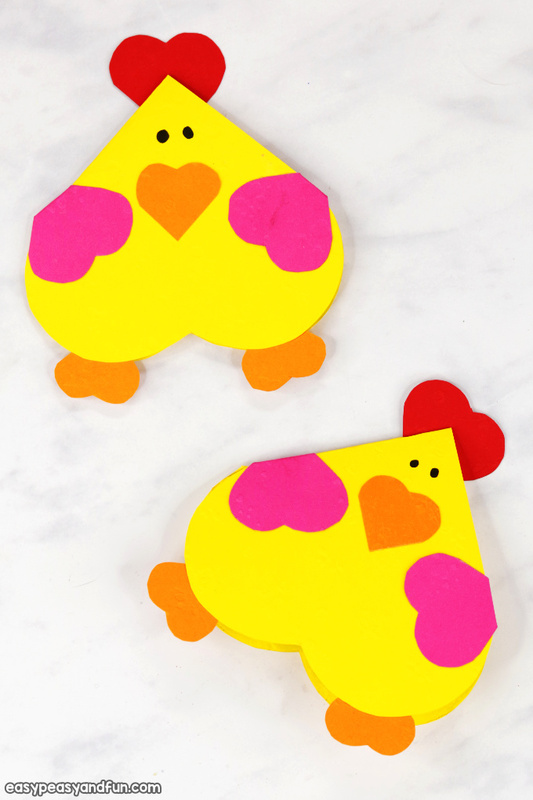 Fold the body of the chicken in half to create a card. Glue the wings on the body. 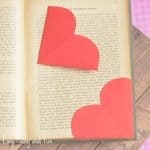 Fold the wings back or trim off excess. 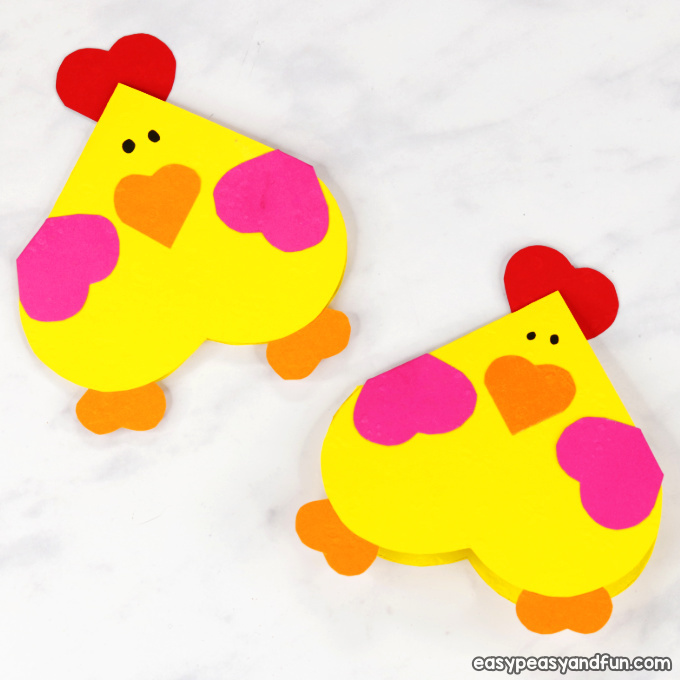 Stick on comb, feet and beak. 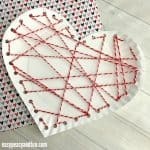 Also draw eyes or stick on a pair of googly eyes. 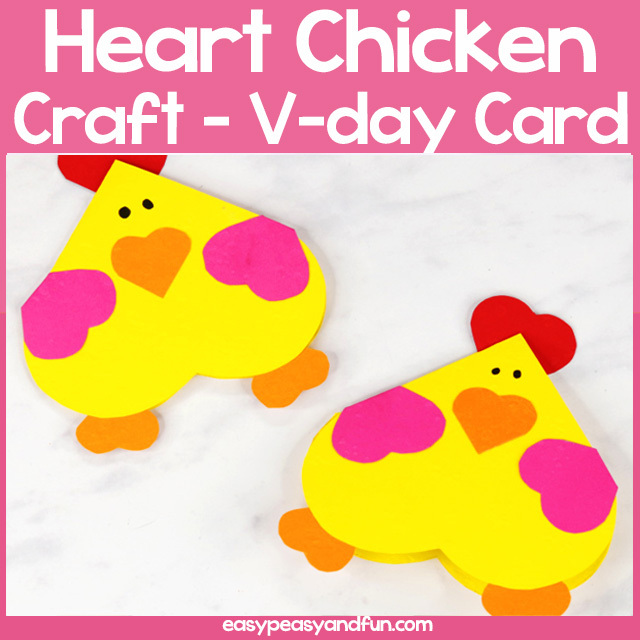 Your heart chicken craft is complete.